Last year Porsche Cars Australia (PCA) and Porsche Centre Willoughby (PCW) handed over a V6 Petrol Porsche Panamera as a press car to the Harbourside Local Area Command (LAC) in North Sydney of the NSW Police for an initial period of 6 months. PCA further extended the loan for another 6 months and have just given the green light for the program to continue into 2014 with a new Porsche Panamera GTS. 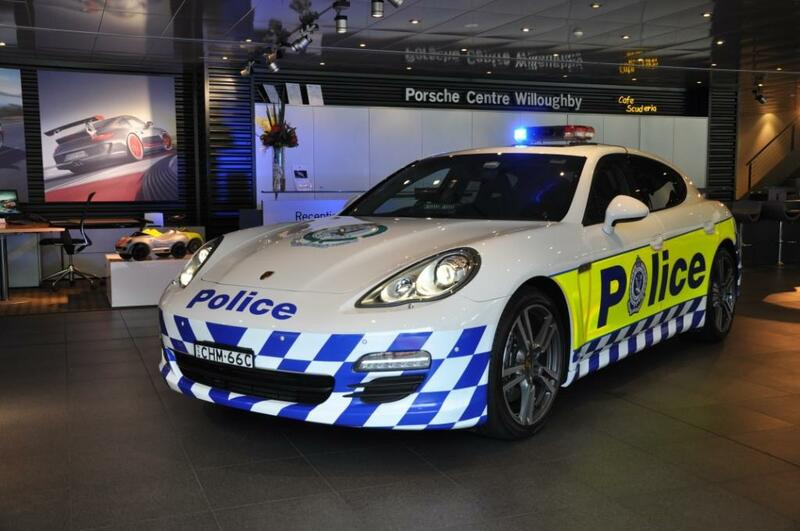 The program set in place for the use of the Porsche Panamera (loaned by PCA at no cost to the Police or tax payers) is targeted at the general community, especially youths, using the Porsche as an 'ice breaker' at local events to better engage with the public about the Police and local issues. The Harbouside LAC have decided that since this is a community vehicle attending community events (you may have seen it at events so far such as 2013 Porsche Rennsport Motor Racing Festival, 2012 Bathurst 1000, I98 Charity Convoy, Police Academy Goulburn open day and many numerous local charity and school events around Sydney) the community should design the new decals on the car; so the following competition has been created. 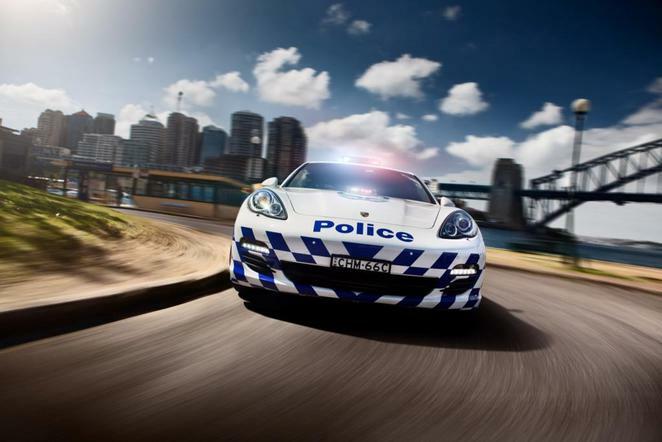 Have you ever wanted to design your own Porsche Police car? Now's your chance. In September 2013 the Harbourside LAC will be receiving a new Porsche Panamera GTS to continue their great work; and with a new car comes a new design. You can download the official entry form with the outline of the Police Panamera at the Harbourside LAC Facebook Page . All entries should be emailed to Insp. Dean Lindley on lind1dea@gmail.com or posted to Customer Service DO North Sydney Police Station 273 Pacific Highway Crows Nest 2065. Harbourside LAC and Porsche Cars Australia reserve the right to make minor alterations to any design to comply with their vehicle marking policy. The winning entry will be selected by Porsche Cars Australia and the Harbourside LAC Commander Superintendent Allan Sicard. The winner will be (subject to a Police check) given a tour of the Harbouside Command in the Police Panamera once their new graphics have been put on the car including photos with the Porsche. The Top 5 entrants will be (subject to a Police check) given a tour of the Police Station and it's many different units including photos with the Porsche. If the winner of the competition is a child they will earn a visit to their school with the Porsche for show and tell (Sydney metro, Newcastle and Wollongong area). The competition is open to anyone and everyone whether you have designing skills, art skills or just like to colour in. 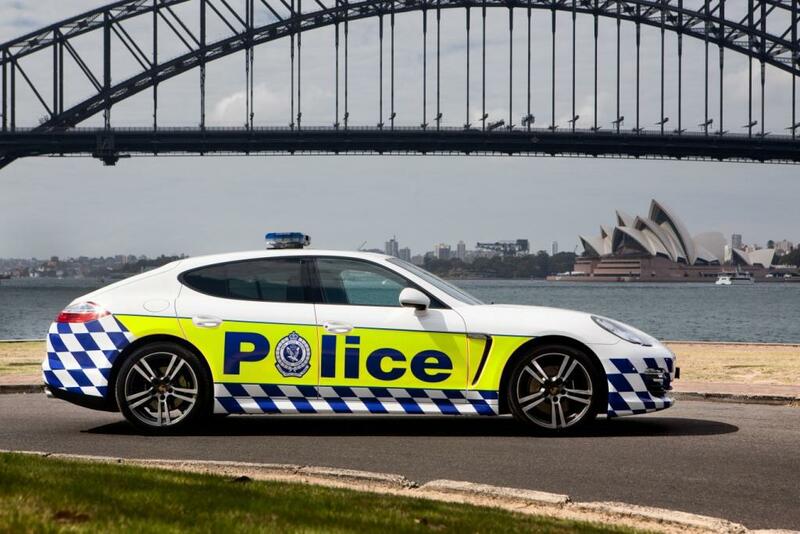 To view an article on the current Police Porsche Panamera to find out what it's really about click HERE.